WAC Lighting LEDme® Collection 1-Inch Recessed downlight fixture employs 3-Watt LED lamp with average life of 100000 hours to deliver light of brightness 160 Lumens. LED Lamp has color rendering index of 85 and color temperature of 2700K. It has voltage rating of 120-Volt AC. 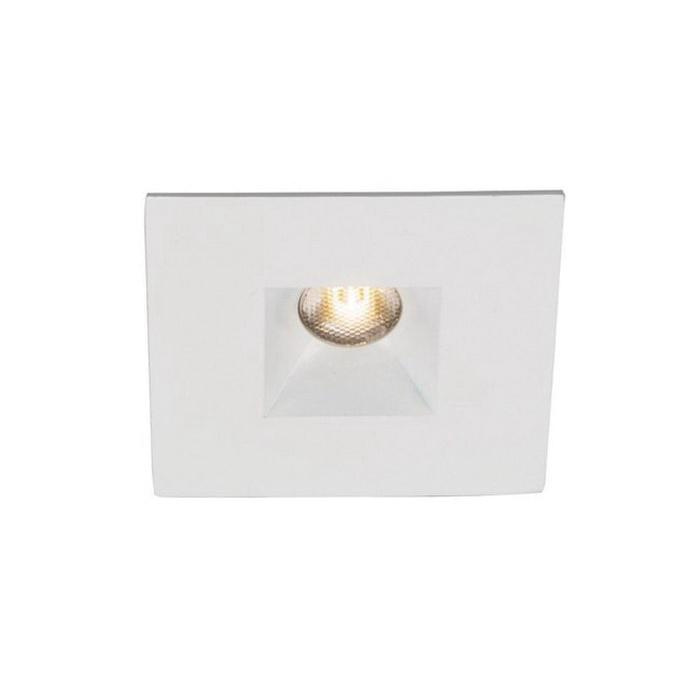 Dimmable downlight fixture in white finish, has low-profile die-cast aluminum trim for longer endurance. It measures 15 - 24-1/2-Inch x 5-5/8-Inch x 3-1/8-Inch. Downlight fixture with 2-1/2-Inch cut-out, supports hanger bar mounting to make installation easy. It comes with seven knockouts and four Romex® style wiring connectors for making installation easier. Downlight fixture is ETL and cETL listed.